The indoor and outdoor home security cameras will be compatible with HomeKit by the end of 2017. Netatmo's Welcome and Presence security cameras will soon be getting HomeKit support. Netatmo’s indoor and outdoor home security cameras—the Welcome and Presence, respectively—will soon be compatible with Apple’s HomeKit smart home ecosystem. There are already iOS (and Android) apps for each camera, but HomeKit compatibility will enable users to access the cameras from the same interface they use to control other HomeKit devices. Users will also be able to ask Siri to show them live feeds from the areas the cameras are monitoring. 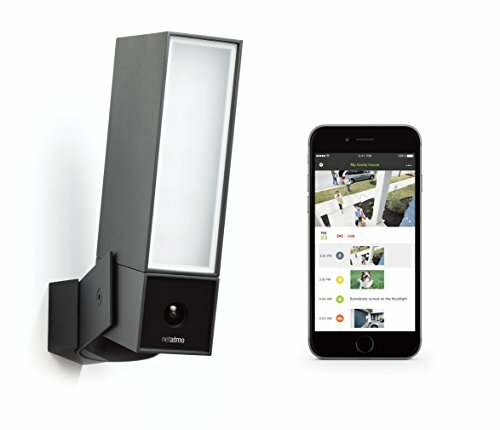 The camera’s existing app features include real-time streaming, alerts when motion is detected, the ability to verify if someone recognized by Welcome is at home, and turning on and off the Presence camera’s floodlight. We gave the outdoor Presence camera high marks for the quality of its motion-activated floodlight as well as its ability to distinguish between people and animals moving within its field of view. We also liked that it didn't have a pricey subscription service attached to it. We were a little less enthused with the indoor Welcome camera, because we weren't impressed with its facial-recognition feature. The outdoor Presence camera will get HomeKit support in the fall and the indoor Welcome camera will get it before the end of the year, Netatmo said.